If you are wondering how to organize your social media content, and make your life so much easier by not stressing about what to post on a daily basis, then the above video/this blog is for you. By the end of this blog, you will understand how to use one of my favorite tools to organize your content so that you never have to worry about what to post. 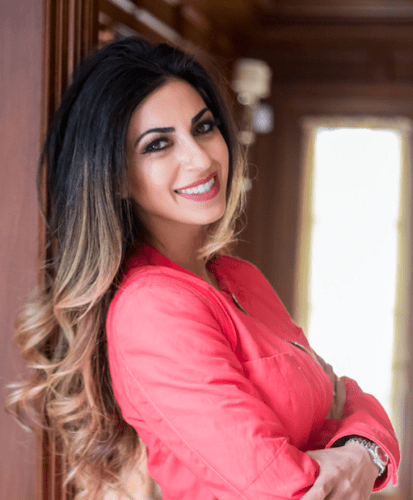 My name is Dr. Yazdan, and I am a cosmetic dentist in Newport Beach. I’ve spent years figuring out how to use Instagram, and Facebook to turn my followers into actual patients in my office. And now that I have cracked the code, and have been successfully doing just that, I am helping you do the same. So with that said, make sure that you subscribe to my channel to be notified every single time I post a new video so that I can walk you through the important steps of how you can drive traffic to your business using social media. Okay, so many people get stressed out about posting on Instagram daily, and if that’s you, then make sure to watch my video on batching content. Once you know how to properly batch your content, you can use an app to keep your content organized. My favorite app to use is called Planoly. I’ve been using it for years, and it’s pretty much the secret to relieving you have your stress and having a visually enticing Instagram account with content that actually has a flow. Planoly is a tool where you can plan, manage and schedule your Instagram posts. Now, there are a lot of functions to Planoly. You could use it to analyze your posts, you can use it to discover other people’s content to get inspired of what you can post. But in this blog, I’m going to be showing you the basics of how to organize your content on the app. Make sure to watch the video because I include a planoly tutorial in the video, and the planoly tutorial shows you how you can use planoly efficiently and effectively. In the planoly tutorial, I show you the inside of my personal planoly account. You can see the photos I’m watching to upload, I show how to upload new photos, you see my scheduled posts, you can see the flow of my feed. So make sure to watch the video so you can see the planoly tutorial I created. You could see in the video that there’s so many features that Planoly can be used for. You could plan your posts and you could have drafts. You could discover other people’s accounts, you can analyze your content and you can use the comments feature. Now, I don’t actually use Planoly for this, but if it’s easier for you, for me, it’s easier to do it on my phone. But if it’s easier for you to manage your comments on Planoly, then go for it because it definitely allows you to do so. Inside of planoly you can actually upload your photos, and organize them by uploading a caption as well. You can even organize your hashtags. I usually recommend to put your hashtags in your first comment, but if you want to put a few hashtags in your caption, I think you can definitely do so. Now, I do have a video on hashtags, and how you should properly use hashtags. So, make sure to check out my other video on hashtags, so that you know how to do them properly. I love planoly because, I can organize my posts, schedule them, and then I can go into the planoly app and all I have to do is push the post to my Instagram feed. Another nice thing that you could do is, let’s say you want to see how your feed feels. You can move these photos around inside of planoly to see how everything looks, basically you can preview your feed. I love that you could literally just drag and drop and it makes it so user friendly. And the other thing about Planoly that I like is that, you can even schedule your Instagram stories. You could plan them out for the month or the week, whatever you want to do. So, Planoly is a really great feature. Overall, Planoly is such a great scheduling tool. It’s so easy to use. I love all its features. I even love that you can analyze your data. I love the fact that it has the comments up here that you can respond to, although I don’t use it, I think it’s great that it has it. And if it’s easier for you to use, just try it. And if it’s easier, go ahead and use it here or use the comments feature. I love that you could create drafts, and you could schedule your posts. It just makes your social media usage so much easier. You’ll have when you have, if these were all scheduled posts, you would have so much more free time to actually engage with your community. And social media really is all about engaging, and growing your community. So, by scheduling your posts, and batching your content, and doing it this way, you are going to be able to grow your account so much faster and more efficiently. So, I would recommend Planoly as the app of choice to do so. I’ve created a free download for you. It’s a scheduling resource guide! Make sure to download it below!